There’s nothing like a good friend. The value of associating with someone who cares deeply for you, and who has your back at times when it really counts, can’t be overestimated. And it can be especially satisfying when that friendship arises from an unexpected companion. 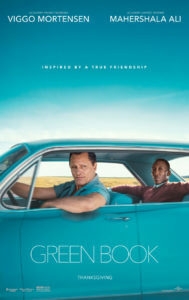 So it is with a seemingly mismatched duo in the new, fact-based road trip buddy movie, “Green Book” (web site, trailer). Tony “Lip” Vallelonga (Viggo Mortensen) needs a job. The married father is put out of work when the New York nightclub where he’s a dapper bouncer announces plans to close for two months to undergo renovation. Unsure of what to do, Tony weighs his options, but there aren’t many viable work opportunities for an unemployed (and largely unskilled) job seeker looking to earn what it takes to support his wife, Dolores (Linda Cardellini), and his two sons, Nick (Hudson Galloway) and Frankie (Gavin Foley). And given that one can only rely on gambling and other dubious money-making schemes for so long, Tony has to find something to hold him over until the Copacabana reopens. 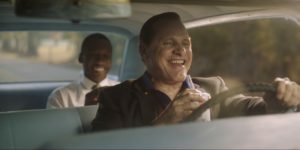 Bouncer Tony “Lip” Vallelonga (Viggo Mortensen) needs to find a new job when the nightclub where he works closes for renovation, as seen in the new fact-based comedy-drama, “Green Book.” Photo courtesy of Universal Pictures, Participant Media and DreamWorks. With few prospects looming, Tony receives a call out of the blue about an opening for a job as a driver, something at which he’s relatively experienced. But the assignment turns out to be far from what he expects. Instead of making deliveries or chauffeuring passengers around town, he’s asked to be the driver for an accomplished African-American pianist, Dr. Don Shirley (Mahershala Ali), who’s about to embark on a concert tour of the American South. Tony would be responsible for transporting his passenger to his various concert dates, as well as a number of other miscellaneous tasks. And, given that he would be driving a Black passenger through this still-segregated region – an inescapable fact of life in 1962 – he would also be responsible for providing whatever “muscle” is called for to protect the accomplished virtuoso from the assorted rednecks and bigots they might encounter along the way. It’s a job duty that’s not specifically spelled out, but, considering that Tony’s a street-smart Italian-American from The Bronx, it’s assumed that this is something he’ll have no trouble handling. At their first meeting, Tony and Dr. Shirley (whom Tony calls “Doc”) come across as an unlikely pair. Tony is earthy, unpretentious and a little salty. Doc, by contrast, is highbrow, erudite, persnickety and quick witted. But they also have traits in common – they’re both no-nonsense, demanding and clear about what they want. They also have their own “deficiencies” – Tony is often tactless and ill-mannered, while Doc is so aloof that he’s frequently clueless to the ways of the everyday world. And, given that Tony comes from a community not exactly known for its tolerance and open-mindedness at the time, it’s unclear how well he’ll get along with someone from a background for which he’s long harbored a less-than-subtle prejudice. 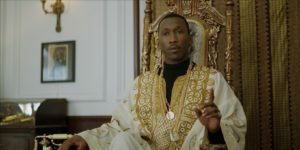 As he readies to embark on a concert tour of the Deep South in 1962, pianist Dr. Don Shirley (Mahershala Ali) needs a driver to take him to his performance dates, as chronicled in the new, fact-based biopic, “Green Book.” Photo courtesy of Universal Pictures, Participant Media and DreamWorks. Tony’s also concerned about being away from his family for eight weeks. He worries that he’ll miss Dolores and the kids, and he’s uneasy that he might not be back home in time for Christmas. However, the promise of steady work for the entire term of his layoff, coupled with good money, proves to be too good to pass up. And so, in no time, Tony and Doc, along with fellow musicians Oleg (Dimiter D. Marinov) and George (Mike Hatton), hit the road for an odyssey that turns out to be quite eye-opening for all concerned. To help them navigate their way through such unfamiliar territory, a representative of Doc’s record label gives the duo a copy of a special guide, The Green Book. This handbook contains listings of safe lodging, dining and business options for African-Americans in the age of Jim Crow laws, directing its readers to places where they will not be refused service, humiliated or threatened with violence. It’s a document that will come in quite handy for those times when Tony and Doc are forced to stay at different hotels or eat at different restaurants, a common practice during the age of segregation. 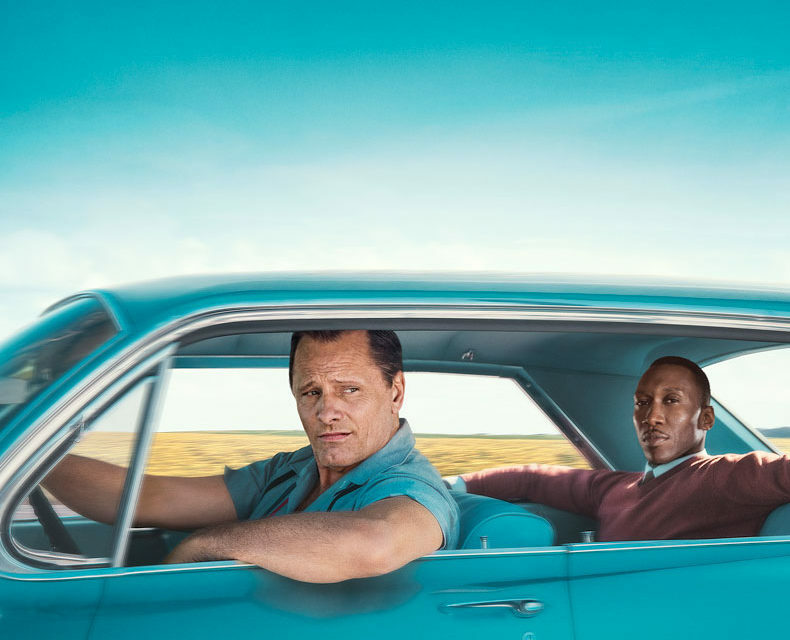 Italian-American chauffeur Tony “Lip” Vallelonga (Viggo Mortensen, foreground) is hired to drive African-American pianist Dr. Don Shirley (Mahershala Ali, background) on a concert tour of the Deep South in 1962 in the excellent new biopic, “Green Book.” Photo courtesy of Universal Pictures, Participant Media and DreamWorks. Given the social and racial conditions of the time, Tony and Doc routinely encounter instances of the kinds of prejudices one would expect when traveling through the Deep South, incidents that get handled in various ways and resolved with varying degrees of success. But there are also a number of unexpected developments to come out of the trip, such as Doc bringing culture to someone who had never been exposed to it. Likewise, Tony gives his passenger an education in streetwise ways, as well as an introduction to many of the ways of everyday African-American life, something that the well-educated (but obviously sheltered) Doc had never experienced firsthand. It’s an exchange that proves to be quite enlightening for each of them – and that helps to forge a strikingly strong bond (and genuine friendship) between them, especially when each of them has to rely on the other for support and guidance through tricky or trying circumstances. And, based on how things started out, who would have thought that such an outcome would be possible? When their odyssey together began, Tony and Doc were, in many ways, worlds apart from one another, and their pairing for an eight-week road trip seemed questionable. However, as they interacted with one another and saw how each could benefit from the other’s presence, they formed that fast friendship that made their relationship work. Such successful collaborations can work wonders to prompt symbiotic efforts that result in mutual benefit. 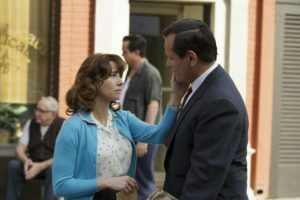 Driver Tony “Lip” Vallelonga (Viggo Mortensen, right) bids a tearful farewell to his wife, Dolores (Linda Cardellini, left), as he embarks on an eight-week road trip in the new comedy-drama, “Green Book.” Photo courtesy of Universal Pictures, Participant Media and DreamWorks. This can be seen in how Doc helped Tony “class up his act,” as it were. For instance, while on the road, Doc guided Tony in helping him write heartfelt love letters to Dolores, a practice that gave him a warm feeling inside and touched his lonely spouse deeply. In returning the favor, Tony introduced Doc to down-to-earth pleasures he never experienced, especially those of mainstream African-American culture. He also showed the often-uptight artist how to loosen up and enjoy life, something Doc had considerable difficulty with before meeting his plainspoken, unassuming companion. However, perhaps their greatest contribution to one another was having each other’s back. Whenever Doc was confronted with the bad intentions of assorted crackers or racist cops, Tony stepped in as a gallant protector. And, when Tony was faced with legal issues of his own, Doc tapped the considerable clout he had amassed with those in positions of power and influence. But, then, such outcomes were easy to come by because of the sincere bond that had formed between the two of them. They joined forces to help one another, and the results spoke for themselves. Driver Tony “Lip” Vallelonga (Viggo Mortnesen, right) looks after the needs of pianist Dr. Don Shirley (Mahershala Ali, left) and fellow musicians Oleg (Dimiter D. Marinov, second from left) and George (Mike Hatton, second from right) while on a concert tour of the Deep South in 1962 in “Green Book.” Photo courtesy of Universal Pictures, Participant Media and DreamWorks. This superb fact-based offering hits all the right notes without belaboring its message while effectively capturing the bond that grows between the film’s two protagonists. Director Peter Farrelly has taken a big step up with this release, revealing abilities not readily apparent in many of his previous works, most of which were nauseatingly silly comedies. The excellent performances by Mortensen and Ali are punctuated by a script that’s full of laughs, poignancy and heart without hitting viewers over the head. In many ways, this film feels reminiscent of “Hidden Figures” (2016), but that shouldn’t come as a surprise, given that one of this picture’s executive producers, Octavia Spencer, was also one of the protagonists of that release (which also starred Ali). If you liked that offering, you’ll love this one. “Green Book” hasn’t particularly caught fire with viewers just yet, but I believe that’s about to change. This underrated gem deserves high marks and well-earned honors, which are now beginning to roll in. The film was recently named best picture by the prestigious National Board of Review, and Mortensen was named the organization’s recipient of its best actor award. In addition, the film picked up five Golden Globe Award nominations for best comedy, best director, best screenplay, best comedy actor (Mortensen) and best supporting actor (Ali). 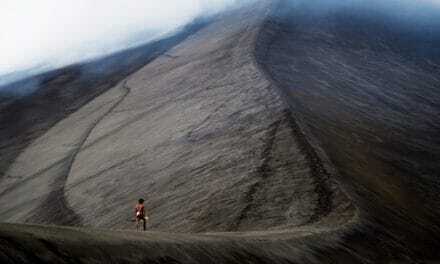 The picture has also come up a winner at numerous film festivals. Look for it to collect more accolades as awards season progresses. 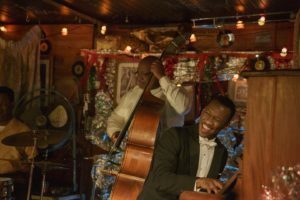 Concert pianist Dr. Don Shirley (Mahershala Ali, seated) loosens up and learns the ways of mainstream African-American culture while on a road trip of the Deep South in the new, fact-based biopic, “Green Book.” Photo courtesy of Universal Pictures, Participant Media and DreamWorks. Those who scoff at possibilities that don’t seem probable at first glance can learn a lot from relationships like those between Tony and Doc. Their eight weeks on the road together turned into a lifelong friendship, showing that what we often think of as unlikely can indeed become wholly possible thanks to the power of our beliefs. All we need do is open ourselves up to the idea – and then just let it happen. The power of creation is truly magnificent. Seeing intangible concepts materialize into tangible manifestations is a miraculous sight to behold. And it’s especially impressive when we consider the infinite range of possibilities that can be made real. However, for those of us who bring such outcomes into being, appreciating the range of what we can create can be overwhelming, perhaps even more than we can realistically handle. Getting a grip on such boundless possibilities could prove maddening, a challenge that confounded an accomplished painter who fought to bring his vision into being, a struggle chronicled in the new historical character study, “At Eternity’s Gate” (web site, trailer). Dutch post-impressionist painter Vincent van Gogh (1853-1890) (Willem Dafoe) led a difficult life. The expansively minded artist envisioned forms of expression that truly pushed boundaries of what was believed possible to achieve on canvas. He was able to conceive of images and styles never before dreamed of or attempted. And, with the encouragement of contemporaries like Paul Gauguin (Oscar Isaac), he earnestly sought to follow through on his vision. However, van Gogh’s cutting-edge artistry was not well received, even in a supposedly progressive artistic mecca like Paris. His works were seen as too radical, even “disturbing,” and not even ardent supporters like Vincent’s brother, Theo (Rupert Friend), an art dealer, were able to successfully promote (or sell) his paintings. Consequently, at Gauguin’s urging, the misunderstood and underappreciated painter decided to pursue a fresh start in rural Arles in the south of France. This move was an attempt at providing him with ample sources of inspiration and new subject matter, a locale where he believed he could give life to his mission. 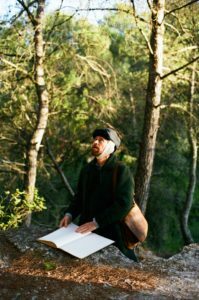 Dutch painter Vincent van Gogh (Willem Dafoe) moves from Paris to rural Arles in the south of France to seek new sources of subject matter and inspiration in director Julian Schnabel’s “At Eternity’s Gate.” Photo by Lily Gavin, courtesy of CBS Pictures. Van Gogh’s relocation proved valuable when it came to providing him what he sought artistically; the sources of inspiration were everywhere in the people and landscapes. But, at the same time, the conservative, close-minded sensibilities of the locals caused him constant consternation. Not only was he criticized for his work, but he was also treated with open hostility for his unconventional creations, circumstances that made his struggle to fulfill his artistic vision ever more difficult. The situation improved for a time when Gauguin paid him a visit, but, when his peer announced plans to return to Paris, van Gogh descended into a form of madness, one that led him to inexplicably sever his ear. Upon the recommendation of a compassionate physician (Vladimir Consigny), van Gogh entered treatment at a local mental institution. His time in confinement was meant to help him stabilize psychologically, particularly where defining his artistic sensibilities was concerned. He was allowed to paint during this time, and it was a period that proved to be quite prolific. But, in many ways, his tenure in the facility raised more questions than answering the ones he already had. With time to think under such controlled circumstances, he pondered theories of creativity, especially in terms of how they relate to the divine, the ultimate source of creation. And, even though he appeared calmer for having spent time in treatment, he was more perplexed than ever in terms of defining his vision and his relation to it. Van Gogh’s thoughts on this subject were the topic of a profound conversation he had with a priest (Mads Mikkelsen) charged with deciding the painter’s fate. It was through this dialogue that the depth of Vincent’s feelings and insights became readily apparent. The thoughtfulness and profundity of his wisdom on these matters surfaced during their talk, his level of understanding them effectively outstripping that of his religious counterpart. Clearly there was much more going on in the mind of this artist than just figuring out how to apply pigment to canvas. 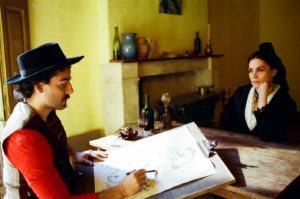 Painter Paul Gauguin (Oscar Isaac, left), a colleague of Dutch artist Vincent van Gogh, offers friendship and guidance to his misunderstood peer in the new historical character study, “At Eternity’s Gate.” Photo by Lily Gavin, courtesy of CBS Pictures. As for the source of Vincent’s troubles, it’s uncertain exactly what caused them. There are numerous suggestions that he suffered from some form of mental illness. It’s also been said that he drank too much and didn’t take proper care of his health. Or perhaps he was one of those visionaries who was ahead of his time and simply didn’t have the means to put his thoughts and ideas into an understandable form of expression. Whatever the cause, though, he found it perpetually frustrating to come up with an answer that suitably satisfied his hunger to create in ways that defined his outlook and sufficiently incorporated the breadth of his vision. Those who have ever been on the verge of breakthrough insights but have not been able to fully grasp or express their meanings can probably appreciate, at least approximately, what van Gogh went through. This film shows what it means to possess a special wisdom that struggles to be birthed into existence, one that’s difficult to put into words (or any other art form for that matter). The frustration in this can be exasperating, but, then, maybe the knowledge that’s meant to be imparted in these situations isn’t supposed to be chronicled in conventional terms. Perhaps van Gogh had trouble explaining himself and his vision through words because it wasn’t meant to be portrayed through that medium, that it was supposed to come through the paintings he created instead. Maybe he couldn’t appreciate this notion for himself, even though he could envision the finished products through which such wisdom was meant to be given life. Either way, we should be grateful for the gift of enduring beauty that he left us. 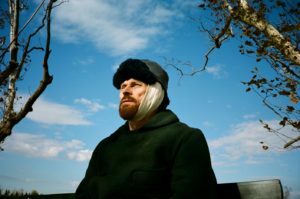 After a bout of madness that resulted in him severing his ear, painter Vincent van Gogh (Willem Dafoe) seeks to find peace of mind through his art in “At Eternity’s Gate.” Photo by Lily Gavin, courtesy of CBS Pictures. Despite some artistic self-indulgence, the inclusion of some sequences that feel unnecessarily padded and occasionally inexplicable choppy editing, this beautifully filmed paean from director Julian Schnabel is a fitting homage to the artistic genius. The filmmaker’s latest doesn’t follow the typical film biography format but, instead, examines the thoughts, beliefs and outlooks of the artist as depicted through the most significant events during the last years of his life, incidents based on van Gogh’s own writings and those of people who knew him. This exploration of the creative process as seen through the eyes of someone overwhelmed by its infinite and divinely inspired possibilities is a moving and thoughtful work that transcends the mere mechanics associated with the craft of painting (or any other art form for that matter). Dafoe gives a masterful, award-worthy performance as the tormented painter, effectively bringing to life the brilliance (and the madness) of this immensely talented, and immensely misunderstood, soul. It’s a portrayal that has already earned him a Golden Globe Award nomination for best actor in a drama, one of many that are sure to come. 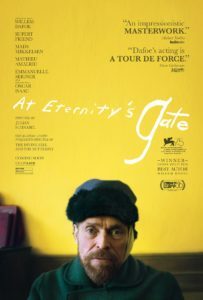 “At Eternity’s Gate” certainly isn’t for everyone, but, for those who appreciate cinema that attempts to push boundaries and get below the surface of someone’s worldly persona, this offering does as fine a job as any in seeking to fulfill these goals. The brush strokes we lay down on our personal canvases, whether or not such an act actually involves painting, provide us with an opportunity to give heartfelt expression to our respective creative visions. While it would be ideal that we understand what they mean, sometimes we can’t fully grasp them or the intent behind them. Perhaps, as van Gogh speculated, such creations aren’t meant for those of one’s time, that they’re intended for a future generation and that our role is to merely serve as the messenger for bringing them into being. What’s most important, though, is that we follow through on our mission, for what we manifest may have implications whose impact extends far beyond us and our stay on the planet. That was certainly true of van Gogh, and we should forever be grateful for the gifts he has given to the world. Realizing our best intentions is a noble goal that many of us would like to see happen. Being able to be of service to others can be both uplifting and fulfilling. But, in carrying out such plans (particularly those that will thrust us into the public spotlight), we had better have our ducks in a row. 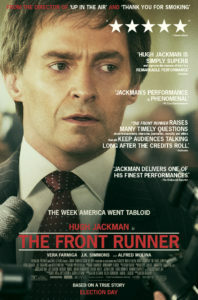 Loose ends, unresolved issues and poorly conceived indiscretions can all serve to undermine our efforts and thwart us from reaching our objectives, lessons learned the hard way by a once-promising politician in the new historical drama, “The Front Runner” (web site, trailer). Having been out of the White House since 1980, the Democratic Party was committed to recapturing the presidency in 1988. In the wake of candidate Walter Mondale’s sweeping defeat in 1984, the party was anxious to find a strong prospect, and, as the upcoming election approached, Democrats believed they found such a contender in Colorado Senator Gary Hart (Hugh Jackman). After coming close to winning the Democrats’ presidential nomination four years earlier, the young, idealistic legislator resolved to win the party’s mandate. And, as campaign season began, Hart was the clear front runner, significantly outpacing both Republican and Democratic rivals. Hart was a breath of fresh air in a political system that had grown old and stale. His ideas were innovative and sought to implement progressive reforms that many saw as important to the country’s future. As a senator from Colorado, he represented the frontier spirit of the American West, a land of new opportunities and audacious thinking. He seemed to be just what the Democrats – and America – wanted. And, given his lead in the polls, it seemed as though there would be no stopping him. But, as events played out, his campaign lasted a mere three weeks. Colorado Senator Gary Hart (D) (Hugh Jackman), initially the leading candidate in the 1988 presidential campaign, gives an impassioned speech about his plans for the land’s highest office in director Jason Reitman’s latest offering, “The Front Runner.” Photo by Frank Masi SMPSP, © 2018 CTMG, Inc.
What went wrong? That’s what this film seeks to identify, and the answers are not as simple and clear-cut as many have come to believe. In part, Hart’s failure came down to personal shortcomings. In part, his downfall can be attributed to the failings of the American political system. And, in part, it was linked to radical (and unfortunate) shifts in the practices of the mainstream media. Regardless of whichever element one gives the greatest weight, though, the bottom line in this is that they all collaborated to derail the candidacy of a politician who may have actually been able to bring meaningful change to a political system in need of reform, alterations that may have caused the course of history to follow a different path in the ensuing years. Where Hart himself is concerned, he became involved in a personal scandal that proved to be his undoing. Rumors of marital problems with his wife, Lee (Vera Farmiga), had been circulating for some time. Whispers about infidelity made the rounds, too, though hard evidence was absent. In response, the senator always downplayed and deflected these issues, claiming that his marriage was fine. As a staunch privacy advocate, he also asserted that his personal life was no one else’s business. But, as a public figure in general, and a presidential candidate in particular, he was now in a very visible fishbowl, and his belief that he could somehow keep the two aspects of his life separate was naïve at best. While on a weekend break from his campaign, Hart made a trip to Miami for some R&R. And, while attending a party on a yacht ironically named Monkey Business, he met a beautiful young woman named Donna Rice (Sara Paxton) with whom he became romantically linked. Hart believed he was being discreet about this affair, but, with the press on his heels, it was difficult for him to conceal his actions. He even went so far in insisting that nothing was going on that he dared the media to put a tail on him. So, when reporters from The Miami Herald (Steve Zissis, Bill Burr, Nyasha Hatendi) did just that, and when others, such as those from The Washington Post (Mamoudou Athie), began asking hard questions, they came up with evidence of the senator’s indiscretions. And, when they revealed their findings (sloppy though some of the reporting was), the world pounced on the front runner. Hart was blindsided by the oppressive attention, dumbstruck that anyone would be so interested in his personal life. He tried to disavow the allegations and to turn the conversation back to campaign issues, while his campaign manager (J.K. Simmons) sought to spin the message to repair his candidate’s image. But, no matter how hard he and his team tried to change the subject, journalists and Hart’s political rivals kept pressuring him about the Rice affair. Voters began to doubt his judgment and his ethics, and the ideals he claimed to stand for came into question. Such relentless harassment and burgeoning skepticism prompted Hart’s poll numbers to quickly plummet, and, after less than a month, he suspended his campaign, bringing to an abrupt end the promise he brought to the race only weeks earlier. One could argue that Hart’s actions were his own undoing, that he engaged in an act of political self-sabotage. But a case could also be made that he was partly done in by a cynical political system that mercilessly pounced on a side issue that, in many regards, had nothing to do with how he would perform in office. Such tactics have become standard operating procedure ever since, a practice that’s highly questionable and, regrettably, entrenched. Similar accusations could be made against a rabid media establishment so hungry for a juicy story that it gave little thought to the implications of what satisfying that appetite would do the country generally and to the candidate personally. The incessant hounding about a matter that had little bearing on Hart’s policies (and did nothing to inform the public about his platform) marked the beginning of a disturbing change in the nature of American media – the tabloidization of the press, which has since then increasingly skewed its perspective into the realm of irrelevancies and a loss of objectivity. 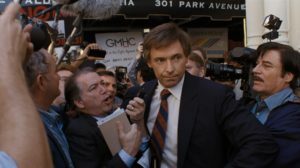 Faced with a fast-growing scandal, Colorado Senator Gary Hart (D) (Hugh Jackman, center) is swarmed by the press as he tries to salvage his 1988 presidential run in the new historical drama, “The Front Runner.” Photo by Frank Masi SMPSP, © 2018 CTMG, Inc. The failure of Hart’s campaign represents a tragic lost opportunity in the country’s history, setting us on a course that we have not been able to shake in the years since then. It’s also somewhat sadly ironic that the senator’s indiscretions at the time were seen as such an unforgivably immense moral failure, actions that, compared to the kinds of transgressions that have occurred in the decades since, seem almost tame in contrast. Would accusations like those leveled against Hart have the same implications today? Probably not. And, in some ways, it’s unfortunate that they were allowed to have such an impact when they did. Imagine what might have happened if the senator’s personal life indeed had been left to be his own business and that he had been successfully elected. If he had been allowed to assume office, one can’t help but wonder if we would we have the kind of America we have now. 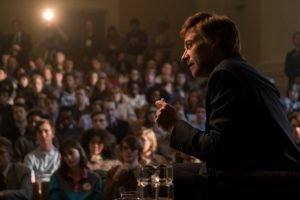 In light of the foregoing, “The Front Runner” encourages us to take a look at these matters not only from a historical perspective, but also in contemporary terms. Do we really want to continue dealing with the kinds of conditions in politics and the media that got their start during the Gary Hart campaign? What would it mean to get back to where things were prior to that turning point? In that sense, this film seeks to take on issues larger than just documenting the story of the senator from Colorado, and that’s certainly substantive food for thought. However, as ambitions and well-intentioned as director Jason Reitman’s latest effort is, it struggles somewhat to pull it all together. Finding the right balance in both telling Hart’s story and addressing these big picture issues is a tricky undertaking, to say the least. The mix never quite gels as effectively as it could, and this lack of focus might leave some viewers wondering exactly what this movie is supposed to be all about. To its credit, the picture features fine performances by Jackman as the conflicted politician, Farmiga as the emotionally damaged wife and Simmons as the beleaguered campaign manager trying to salvage a lost cause that began with such hopeful optimism. It’s too bad that this release doesn’t quite live up to its hype – or its potential – given that, if handled more skillfully, it could have served as noteworthy social commentary that’s just as relevant today as it was about the period in question. Shooting ourselves in the foot can carry many ramifications. In addition to being personally embarrassing or devastatingly hurtful, we run the risk of letting down others, ruining our expectations and theirs. Such acts of self-sabotage can be disastrous beyond what we can imagine, with implications that can have impact that’s both wide ranging and long tenured. This raises the importance of living up to our personal responsibility, making sure that we prepare for its implementation, as well as seeing it through. To do less runs the risk of regret, and, once that makes its presence felt, there may be little we can do to go back and rectify it. And what a terrible shame that would be. A Full Hour of Movies! Join host Frankie Picasso and me for the next edition of Movies with Meaning on The Good Media Network’s Frankiesense & More broadcast on a special day, December 13, at 1 pm ET. We’ll discuss a number of new movie releases, as well as preview some awards season contenders getting ready for release during the upcoming holidays. For the video version, tune in on Facebook Live by clicking here. And, for the audio only podcast edition, check out The Good Media Network’s home page by clicking here. Join us for a Santa’s bag full of fun movie chat! PreviousWhat Side of Extinction do You WANT to be ON?